Why do big brands have all the fun at Super Bowl time? Brands of America, football is a team sport. And now marketing is too. Introducing Newcastle’s Band of Brands. #BandOfBrands. Created by Droga5 New York Newcastle Brown Ale's "Band of Brands" is aimed at producing the first crowdfunded Big Game ad. In exchange for a small contribution, any brand can join Newcastle's team and have its logo and messaging featured in an actual Big Game spot. 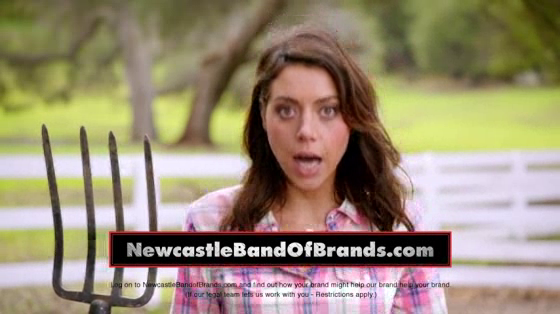 The video is fronted by "Parks and Recreation" star Aubrey Plaza. Lynx: Less Effort, More Style.